Mr Edward Roe, the General Manager of the Fairmont Sonoma Mission Inn Spa, would like to welcome you. The Fairmont Sonoma Mission Inn-Spa is the ultimate elegant oasis-blessed by natural mineral hot springs in the heart of the California Wine Country. The Inn has a 40000 sq ft Willow Stream Spa and an 18-hole championship golf course that is home to the PGAs Charles Schwab Cup. For hundreds of years- ancient thermal mineral waters have graced this site. Today- our resort is proud to be one of the only luxury Spa resorts in the country with its own source of thermal mineral water. 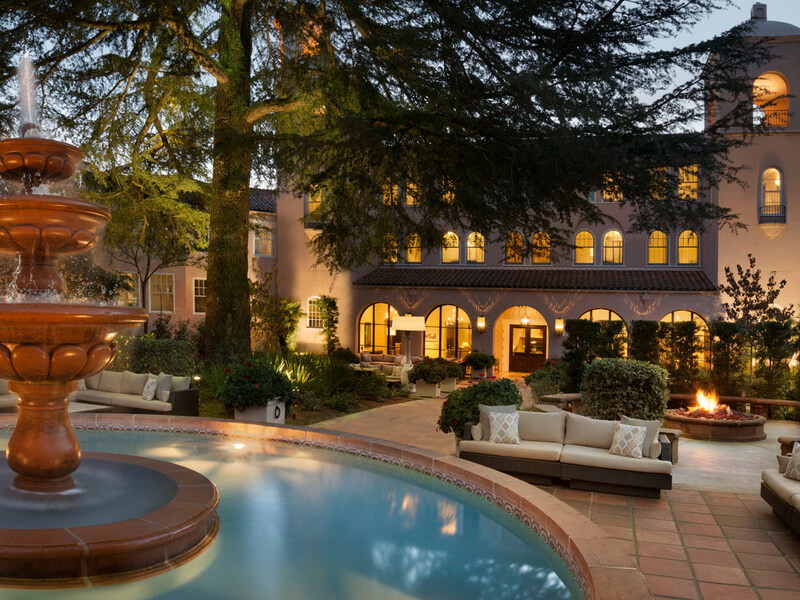 The Fairmont Sonoma Mission Inn and Spa features an exceptional full service Willow Stream Spa (40000 square-feet) with its own source of thermal mineral water as well as the only Michelin-rated restaurant in the Sonoma Valley Sante. Abundance of suites with jacuzzis and fireplaces as well as guestrooms (with or without fireplace). Fairmont rooms newly renovated in April 2013. Suites are located in separate building and only connect to other suites. All rooms come with complimentary bottle of wine (hotel's selection) upon arrival (standard is red wine, but white wine or sparkling cider can be replaced if noted in reservation). Set in the handsome Sonoma Golf Clubhouse, the Clubhouse Restaurant features a wonderful selection of Wine Country Cuisine; the perfect option for a meal or light snack after a day on the course. Santé Restaurant has earned a national reputation for its outstanding food. Recipient of the AAA Four Diamond Award and Michelin designations, Santé is amongst the top-rated restaurants in the greater San Francisco Bay Area. The Water Tower Bar is a full service bar that highlights dozens of regional craft beers and locally-sourced specialty cocktails. Wine Country inspired menu includes freshly prepared sandwiches, salads and fruit smoothies. 38º North at the Fairmont Sonoma Mission Inn is Wine Country's hottest new Sonoma, CA lounge venue. 38º North is a Meritage of wines and flavors, proudly pouring more than 50 wines by the glass from handpicked local and international wineries.